HealthyLife Sciences is the manufacturer of a weight loss pill that is available without a prescription, called Healthe Trim. The tag line on the official Healthe Trim website says that by taking the product, you will become “high school skinny”. This is a funny statement considering many people were far from skinny in high school, but we get their point none the less. So are Healthe Trim diet pills really that effective? To start, it is important to look at the ingredients found in Healthe Trim diet pills. These ingredients are: resveratrol, chromium picolinate, green tea leaf extract, hoodia gordonii, caralluma fimbriata, coix seed, poria cocos, cassia seed, lotus leaf, water plantain, methionine, mulberry leaf, gymnema sylvestre, eleutherococus senticosus, pyruvate and trace minerals. Among those ingredients, some red flags pop up right away, starting with the first ingredient, resveratrol. Resveratrol is a diet pill ingredient that has been heavily hyped by many different over-the-counter diet pill and diet supplement companies. Despite its publicity, Resveratrol has never had a single human study prove that it has even the slightest impact on weight loss, positive or negative. The second ingredient, chromium picolinate, has been deemed likely safe by the Mayo Clinic, but that same reputable organization also says that there is insufficient reliable evidence to show that this ingredient is in any way helpful with weight loss efforts either on its own or combined with other ingredients or activities. Green tea leaf extract is actually known to be helpful with weight loss, but as the quantities of the ingredients have not been disclosed with this list, it cannot be known for certain whether there is a high enough daily dose to make any difference. Considering the number of ingredients in the formula, it is unlikely, but it is impossible to know for sure. Hoodia gordonii is yet another ingredient that has been subject to a lot of hype without any science to back up the claims. Here again, major medical experts such as the Mayo Clinic are showing that there is not only inadequate (or non-existent) research to back up the claims that are being made about its appetite suppressing abilities, but there is also inadequate research to show that it is actually safe to use for the average dieter. The advertising for Healthe Trim diet pills states that this product is a “Thermo-Energy Booster”, but after looking at the ingredients it’s somewhat unclear what they mean by this. Despite what the advertising will have you believe, Healthe Trim will fall very short as a product that will help boost your metabolism and fat-burning abilities. 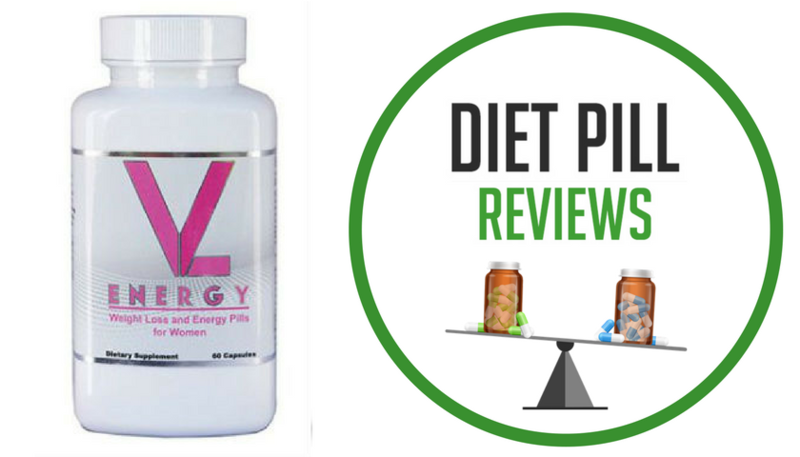 Other than the green tea extract, Healthe Trim diet pills contain no other proven energy or metabolism boosters. What this formula relies on instead is a collection of ingredients that contain antioxidants that have no real proven benefit. Another glaring problem with Healthe Trim diet pills is that they do not promote a healthy eating pattern. This product is supposed to be taken in the morning with water and does not allow a meal for 2-3 hours afterward. For most people, this will mean that it will almost be lunch time before they eat their first meal of the day. This goes against what most nutritionists believe is key to establishing a healthy diet for weight loss – eating breakfast. If you wait until almost lunch to eat or drink anything other than water your blood sugar will be very low. In this situation people will be more inclined to overeat and make poor food choices. 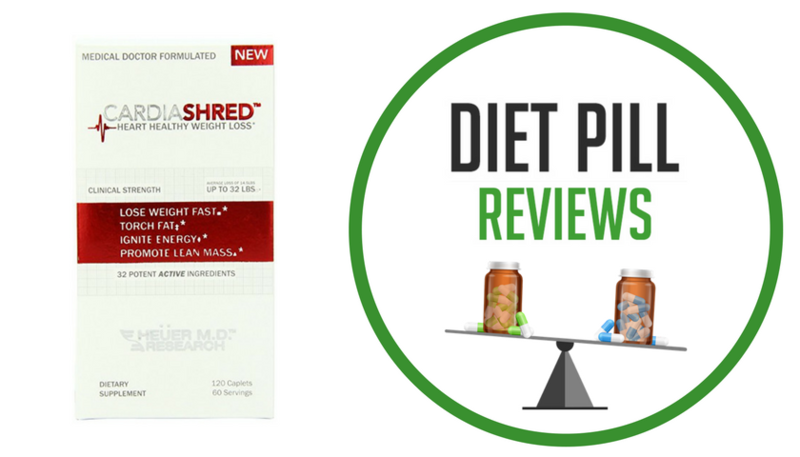 The official website for Healthe Trim diet pills has published a study that they claim supports their products effectiveness. This study has never been published in a reputable scientific journal, nor has it been peer reviewed in the scientific community. Although the results of this study sound really good, they are not proof of anything. From a statistical standpoint alone, there were too many factors to control to make the results the least bit accurate. 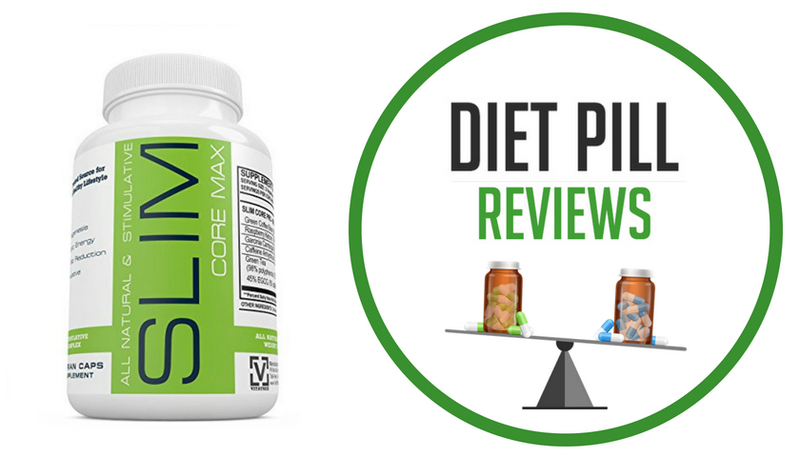 The bottom line is that Healthe Trim diet pills are marketed very well, but are not a great choice when you compare then with so many other diet pills out there that will work much better and for a cheaper price. The only benefit of taking these diet pills is that they will likely not cause any bad side effects. Suggested Use: Take two capsules first thing in the morning with 2-3 glasses of water. This will allow for maximum absorption into your body. Wait 2-3 hours before eating. Then, go about your day normally. The only restriction is the use of caffeinated and decaffeinated beverages like coffee, tea, soft drinks, and energy drinks. We recommend that you eliminate artificially sweetened beverages as well. These beverages will diminish the effect of Healthe Trim. Caution: These statements about Healthe Trim diet pills have not been evaluated by the Food and Drug Administration. Healthe Trim diet pills are not intended to diagnose, treat, cure, or prevent any disease. I would like to try it, how can I buy this product? They are great I’ve lost 13 pounds in 2 weeks.And I used to eat a lot. It gives you energy and curves your appetite. Its really cool. No yucky feeling afterwards thats what i like. Just started Healthe Trim 3 days ago and am down 3.4 pounds. No side effects. Less hunger and more energy. So far so good. Excited to find out future results with continued use. I have been using healthe trim for about 45 days now….it does give me energy and curbs my hunger in the morning, but I have not lost any wieght. I used to drink 10 plus of coffee a aday and go to the gym 4 imes a week….The only plus to the product is my wife says I’m in a better mood all day from not drinking coffee. I bought this product it it made me feel so bad!!!! I can’t even describe the feeling in my stomach. I couldn’t wait for the feeling to go away. I started with one pill in the morning and soon after that, it made me feel so bad. I didn’t take it for about two weeks and I wanted to try it again to see if it would do the same thing and it did…. Can someone tell me if they have had this same issue. I still have half a bottle left. I really wanted this to work. yes, the same thing happens to me, but it’s a trade off. a little yucky feeling for curbed appetite to eat whatever you want and it keeps you from overeating. Or you can not feel anything and keep doing what you are doing. I’m debating on this pill…. I’m already on my second bottle but I haven’t lost much. I started off with two pills in the am and two in the after – BIG MISTAKE!! Then I did one pill in the am and then the other two hours after my lunch time – didn’t do so well either. Now I’m on to one pill a day in the am. When I take my am pill i feel so HUNGRY within an hour of taking it – ALWAYS! How is that possible?! When I don’t take it I can go for 3 hours without feeling starved. I also feel cold sweats and jittery after taking them and I also feel a heartburn effect too and I get stressed out throughout the day because of the affects. I start to panic and it last for a couple of hours up to half the day. It does supress my appetite but at night time I eat everything that’s in my way – not good. Not sure what’s happening and thinking of stopping for good. No more ordering I’m afraid what I could be doing something harmful to my heart. I just need to hit the gym regularly and change my lifestyle of selecting healthier foods. i just orderd it and after reading these reviews i am very excited to try it can anyone tell me more about it?? I have been taking the pill for 2 months and I have lost 25 pounds but i also started working out. I take it 6am w/t my water and then eat about 9am, snack, lunch and small dinner or no dinner. I took all caffeinated beverages out of my diet and its worked for me. I just start taking the pill today n its nt working well for me , I took two pills dis morning and every since i’ve been feeling sick , keep on throwing up everything I eat r drink am nt sure if I wanna continued it , anyone feeling like this the first day ? Any one feeling sick da first day taking da pill ? After 2 days of taking these, I am hurting like crazy. I have ate normal foods that I had been eating, I just had cravings to eat a lot of it, even bowls and bowls of fruit. It did curb my appetite but at the expense of having severe -SEVERE- abdominal pain?? I can barely move, can’t button up pants. I feel like I have morning sickness too, ever since the first pill all I wanted to do was barf. I know it’s from the pills because nothing else in my life has changed. When I recover, I think I’ll go back to the Yoga Booty Ballet video I bought. 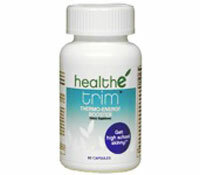 I only tried Healthe Trim because a friend bought them and couldn’t take them with her thyroid medications. My dad bought these for himself and said that they made him feel weird and told me I could have them. I tried them out, and it made me feel so jittery, shaky, and nauseated, I wasn’t sure what to do. I would break out into a cold sweat and feel like I was about to pass out. Stupidly, I kept taking them in hopes of losing weight, and I did. I lost about 8-lbs in two weeks; however, I did not feel that losing weight was worth feeling like I was dying. I, personally, do not feel that this is a safe product to take, and I would not recommend it to anyone. OMG!!!!!! I know the feeling and I was debating if I should continue or not. These pills are CRAZY! I hate the feeling and thought it was just me and my crazy head thinking something was wrong! everyone is different, like me i cant take anything with ACAI because it gives me headaches or migranes, maybe there is an ingredient some of you may not be able to take. It doesnt make the product a bad one. i started taking these pills about 2 weeks ago, I have never been much of a taker on caffine so when I started to feel jittery I figured it was just my body getting used to it. I have also began to break out in cold sweats and feeling as if i was going to vommit. i do not recommend this product. I’m on my 3rd day of taking healthe trim. I’m surpized how differently it effects people in different ways. I feel some what surges of energy here and there, but I dont feel sick. what I have noticed is maybe alittle constipation (TMI I KNOW) but is slowly going away. Dont know if I lost any lbs as I dont use a scale. but only on the 3rd day. it’s a 30 money back garantee … what can hurt to try it. I took Heathe trim a while ago and had the same jittery side effects. The best way to combat the side effects is to drink LOTS of water. You should drink about 750ml of water (the size of a regular size water bottle) when taking the pill. Then drink at least 2-3 more liters (a little less than a gallon) throughout the day. The jitteryness will go away if you do this. I also never took pills in the afternoon. I tried it once and couldn’t fall asleep. But when I was on it I would lose about a pound a day. I also forgot to mention… don’t drink coffee or anything with caffeine while taking it. Normally, the side effects make even the idea drinking coffee unpleasant, but in case you don’t feel that way, just don’t do it. It makes the side effects worse. Also, the way it seems to work is it makes you pee a lot, and when eating you feel a little nauseous which helps to prevent overeating. Can any suggest do this hs trim pills working or not,cos this the first tyme im gonna take this,so pls suggest me,its gud to tke or no,,or do it relli wrk or any side affects. The statement that by waiting 2-3 hours after taking the morning dose will leave most people waiting until noon to have their first meal is ridiculous. I get up at 6:30 take them right away with 28 ounces of water and eat at 8:30…..how does this equate to noon??? The next item is that it doesn’t promote a healthy eating pattern. How so, it doesn’t take a rocket scientist to know how to eat clean and like most of us we have a pretty good idea what we should be eating and what we should leave out! The above statements are somewhat ridiculous! I have been taking healthe’ trim for about four weeks. As in fact I have tried a variety of diet pills that claims or guarantee weight loss, thermodynamics and appetite suppression. Everybody’s physiology is different, and there will be of course variations to side effects and end results. Nevertheless, when I start taking diet pills I do not follow the immediate instructions. First of all your body has to adjust to a new substance of intake. For the first week I took one pill daily to see how my body would react and how I would feel. The first week I did not feel anything, but I stuck to my regimen. The second week I started taking one pill in the morning and one pill mid afternoon. Thereafter I am not going to increase the dosage. So far, what I have noticed is that I use the bathroom a lot, and if I do not eat properly, I will want to eat everything in sight. Make sure to have fruit or healthy snacks available just in case a hunger surge begins. Drink plenty of water, your body needs the hydration, as I have experienced dry mouth. Also if I may suggests, after you have been taking the pill (s) for about a month, take off a week, because the body has adjusted to the pill. Then start back to the regular schedule. Hope this is helpful. I am on day 2 of these pills. Took 2 yesterday and was vomitting all afternoon. Took 1 today and thought I would have no problem. WRONG. Still nauseous and dizzy. I am at work at just want to lay my head down. I feel like I have a stomach bug – along with the jitters. Not for me. Can I return these pills. OMG too much money to feel this lousy. I started taking these today. I feel okay. Im not nauseous or anything, just a little dizzy. I am very sensitive to caffeine anyway so I am only going to take 1 pill a day for a week. Will probably take the weekends off as my husband and I do a lot of outdoor activities and I do not want to be dependant on some sort of pill. I am in a wedding next year and have at least 85 lbs to lose. We shall see how this works! i’ve been taking one week now…no change in weight. i have not had any caffeine nor artificial sweeteners. i do feel less hungry, but not loosing anything so far.